Sony is going to release one of its most anticipated smartphone of 2012 in this month. Xperia S will be the first Android-based smartphone getting launched under the hood of Sony. All eyes will be on this latest smartphone from Sony because its success will surely be the reason for the performance of Sony in this year. The performance of Sony in 2012 matters a lot and undoubtedly rely on Xperia S because Sony Ericsson incurred heavy loss of €247 million last year. Xperia S was first showcased at CES ’12 and is scheduled to be released on January 30 2012. Sony is relying on Xperia S and Xperia Ion smartphones to come back on the right track so one can expect Xperia S to be one of the masterpiece from Sony. At the moment, Xperia S which was expected to release in March 2012, can be pre-ordered at Play.com and will cost around £450, which is also one of the cheapest offer around. One can also pre-order the device from Clove and Ebuyer. 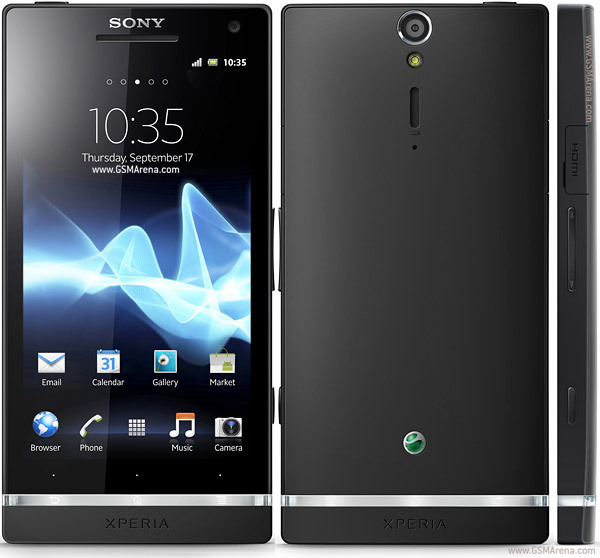 Sony Xperia S features 4.3″ LED-Backlit LCD with 720×1280 pixels resolution,multi-touch up to 10 fingers,Sony Mobile Bravia Engine and Scratch resistant glass. It is powered with Dual-Core 1.5 GHz processor,1 GB RAM,Qualcomm MSM8260 Snapdragon and Adreno 220 GPU. This powerful specification is sufficient enough to run various performance hungry applications and games. It features a 12 MP camera with Auto-Focus, LED Flash,Geo-tagging, touch focus, face and smile detection, 3D sweep panorama and image stabilization. Its camera is also capable of video recording at 1080p@30fps with continuous autofocus, video light and video stabilizer. Sony Xperia S is bundled with Wi-Fi 802.11 b/g/n, Wi-Fi Direct, DLNA, Wi-Fi hotspot. A powerful and feature packed smartphone in its segment. It has 32 GB of internal space and doesn’t support MicroSD card slot which is one of the big drawback in its part as high-resolution snapshots, HD videos and 3D games will occupy this space in no time. Doesn’t support LTE network so data transfer speed is limited i.e HSDPA at 14.4 Mbps and HSUPA at 5.8 Mbps. Happy Birthday Akio Morita: The Entrepreneur Who Made Us Enjoy Music On the Go ! Can The New Sony PlayStation VR Maintain Its Dominance? Samsung Electronics (KRX:005935) Lost To Pebble And Sony In Smart Wearable Band Market In Q1 2014 ! Top Wearable Gadgets to Watch Out For In 2014: Google Glass 2, Samsung Gear 2 And More! Will Sony Corporation (SNE) Benefit By Increasing The Frequency Of Launching Flagship Smartphones?